The Golden State Warriors are 172-30 in the regular season since November 2014, including a league-best 32-6 this season. They're also outscoring their foes by 11.84 ppg, more than three points better than the #2 team (San Antonio). Yet many believe the Warriors are vulnerable, primarily due to their 0-5 record this season vs. certain of the NBA's elite teams (Cavaliers, Rockets, Spurs, Grizzlies). I believe a team's overall record carries more weight than a smaller subset, so I'm not a Golden State doubter. However, given that the Warriors were 12-1 against those four teams last season, their struggles this year are perplexing. Let's take a look at the NBA week ahead. The San Antonio Spurs are the NBA’s version of Groundhog Day. It seems that, regardless of personnel, the Spurs are going to contend for a title. And while San Antonio didn’t win an actual championship until Tim Duncan was in the fold, the franchise will make the playoffs for the 45th time in its 50-year history this season, and also notch its 20th consecutive season of winning 60% of its games. This year, the Spurs got off to a slow start, primarily because they had to integrate seven new players into the system. Through their first 23 games, San Antonio was 18-5 straight-up and 10-12-1 ATS, with a less-than-stellar scoring margin of +4.69. But that was the turning point of San Antonio’s season. The team had just come off a tepid performance at Chicago (their first road defeat of the season), and coach Gregg Popovich ripped into his team for a lack of effort. The team got the message, and had its best offensive performance of the season two days later, in a 130-101 win vs. Brooklyn. San Antone’s now 12-2 SU/ATS its last 14 games, and has outscored its foes by 14.85 in this stretch. The Spurs have held at least a 20-point lead in seven of their past nine games, and are now #2 in the league in scoring margin (+8.48) behind only Golden State. This week, the Spurs will face three teams that don’t own a winning record (Bucks, Lakers, Suns). San Antonio has won nine straight vs. Milwaukee (7-2 ATS), six straight vs. the Lakers (2-3-1 ATS) and nine straight vs. the Suns (6-2-1 ATS), so the opportunity is there for it to stay red-hot. Scoring in the NBA is up significantly this season. Last year, half the league scored more than 102 ppg, while half the league scored less. This season, that break point has increased more than three points, to 105.4. 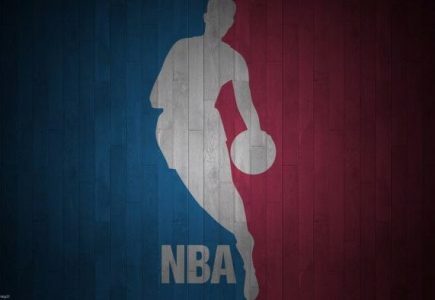 Not surprisingly, a majority of NBA games have gone ‘over’ the total (298-267-4). And one team which is greatly contributing to this is the Boston Celtics. Brad Stevens’ crew has gone ‘over’ in 10 straight games (after going ‘over’ in just 40 of 88 last season). Boston will travel to Toronto on Tuesday to face the Raptors. The Celtics currently rank 19th in defensive efficiency, while Toronto ranks 21st. And Boston will once again be without Avery Bradley, its best defensive player, as he is recovering from a strained Achilles. With 10 of Toronto’s last 13 home games sailing ‘over’ the total, I look for the Celtics’ streak of ‘overs’ to hit 11 games on Tuesday. The Chicago Bulls’ Jimmy Butler has been on a tear. Prior to Monday’s home loss to Oklahoma City, Butler had scored 34.16 ppg over his previous six games, including a 52-point outburst vs. Charlotte, and a 40-point effort vs. Brooklyn. But Butler became ill on Monday with a fever and body aches. Still, he tried to play through it, but was completely ineffective (0-for-6 FG, 1-2 FT) in 29 minutes against the Thunder. Interestingly, that was the first time an NBA player scored less than two points (in at least 20 minutes) after scoring 40+ points in his previous game. Butler won’t travel with the Bulls to Washington for Tuesday’s game against the Wizards, and he may also miss Thursday’s tilt at New York (on TNT Television). Even worse for Chicago: the Bulls will be playing without rest on Tuesday, so Dwyane Wade will be held out, as well, by the coaching staff. Without their two stars on the court, Chicago will be a double-digit underdog at Washington. But before one goes to the betting window to plunk down money on the Wizards, consider that the Bulls are 13-3 their last 16 as double-digit underdogs, while Washington is a poor 13-20 ATS as double-digit favorites vs. unrested foes. The Memphis Grizzlies are having a very good season under first-year coach David Fizdale. The Grizzlies are 24-16 straight-up, which is the NBA’s 8th-best win percentage, and 21-19 ATS. And they’ve defeated the best team in the league — Golden State — both times they’ve faced off against each other. Memphis’ calling card, of course, is its defense. This season, the Grizzlies rank #3 in defensive efficiency (104.99 rating) after ranking just 20th last year. However, if there is cause for concern, it’s that Memphis’ record is much better than its scoring margin would project. The Grizzlies are outscoring their foes by just 0.70 ppg, which ranks 12th in the league. And their scoring margin typically would equate to a 21-19 record, not 24-16, so the Grizzlies have been somewhat fortunate so far this season. This week, Memphis will have to play two teams out for revenge from losses suffered on Beale Street last month. On Wednesday, the Grizzlies will travel to Oklahoma City (Memphis routed OKC, 114-80, on December 29). Then, on Friday, the Grizzlies will play the Rockets at the Toyota Center (Memphis defeated Houston, 115-109, on December 23). So, yes, Memphis was able to come back from a 24-point deficit this past Friday to upset the Warriors for the second straight meeting. But before that game, the Grizzlies were 0-9 straight-up and 1-8 ATS vs. revenge-minded foes that owned a win percentage greater than .400. I look for the Grizzlies to get drilled by the Thunder and Rockets. Good luck, as always…Al McMordie. Don’t miss any of my red-hot Hoops, Hockey and Football winners here at Covers.com, including my NFL Total of the Month on Saturday. After cashing Clemson, we’re now 80-48 our last 128 football releases, so join for a week or month today to get all of our award-winning selections.